... available time usually stops most people. On the other hand, if you use the budget tool on our site you can develop a budget over time rather than having to get it all done in one go. Available 24/7 as well. 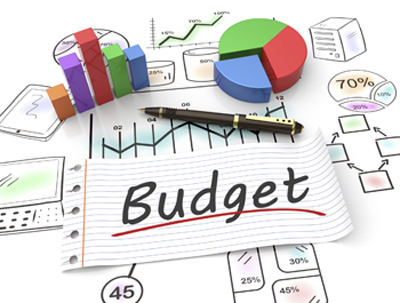 To access the Budget tool simply go to our website and click on either the financial tools, secure client portal or calculators button. Use either your past login details (Hint: your e-mail address is almost always the username). If you've forgotten your password then simply request a new one. For first time users, you'll need to click on the Register button first. 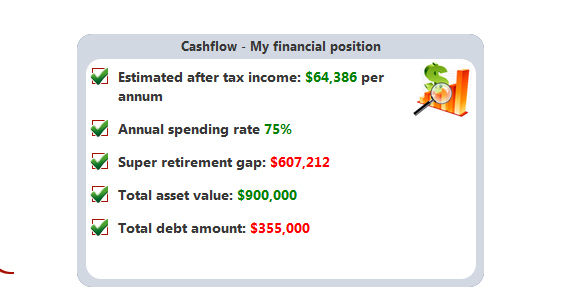 Once logged in click on Cashflow in the left panel and then Budget. An extra bonus of using this tool is that some of the information you add is automatically fed into other tools such as Income, Super, Assets and Liabilities. The final picture you develop is of your complete financial structure and position. You can even share this data with your accountant or financial planner who can then help you better manage your financial affairs. Getting professional assistance can be a significant help to anyone. These tools can be a great help to your children as well. You may think that working on a Budget or cash flow isn’t your cup of tea but when things are tight or you need to look long term then there is no better way to manage how your money is used. The following images are examples of available financial tools and also there is an informative longer article below called "Cracking the money code' about overall financial literacy. Making time for a quick trip to our website is a good thing to do, it has all the tools you need and more. Also any information you add that’s relevant to other tools is automatically transferred saving you time and effort. Give it a go. Start with a Budget or Cash flow analysis or Super scenario. Whatever you add will be waiting until the next time you log in.